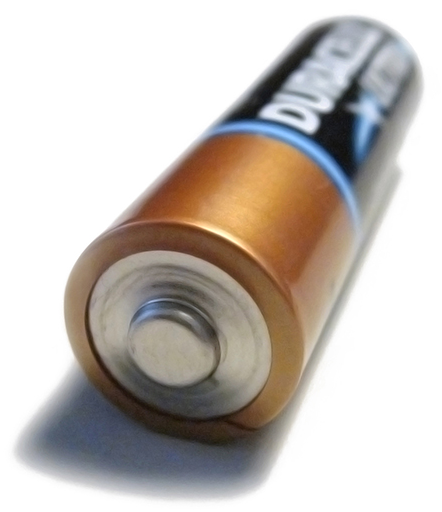 Super Simple Way to Test Batteries: Yeah, Science! Hubby gave me the oddest look the other day, thanks to the video below. We keep a Mason jar in the kitchen with old alkaline batteries. (We don't throw them out since they leach chemicals into the soil, instead taking them every so often to one of those battery drop-offs at tech stores.) I emptied the jar and proceeded to drop each battery onto the counter, putting aside the ones that didn't bounce. Then I took one of the non-bouncing ones and put it in the kitchen clock which had died earlier this week. And naturally, the clock started working again because the battery wasn't actually dead. In fact, there were about 10 batteries that were salvaged from the pile with life still in them. All because of a little drop test and science. The video below explains the chemistry and physics behind the drop test, and explores a number of theories about why batteries bounce when they are expired (including the anti-bounce theory which starts at 3:00). It's not a flashy production but it's really well explained. And can we just take a moment to acknowledge that this video is put together by the ROMEO Club? Retired Old Men Eating Out?! Love that.